Orthodontic treatment can be successful at any age. Teeth can be aligned and straightened. The occlusion can be improved with the help of modern invisible or hardly visible materials, and be most effective but still gentle. It will be hardly noticed by your friends or business partners. 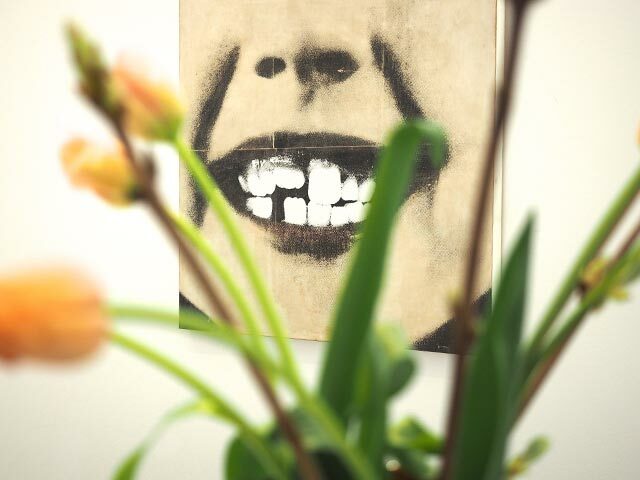 Especially in the treatment of adult patients orthodontics has become a link between periodontics, implantology, prosthodontics and maxillofacial surgery. Based on well-balanced function, orthodontics can improve the facial architecture and profile. Our concern is to create a healthy, attractive smile. The harmony of straight teeth, proper function and a nice profile lead to the beauty of your face. 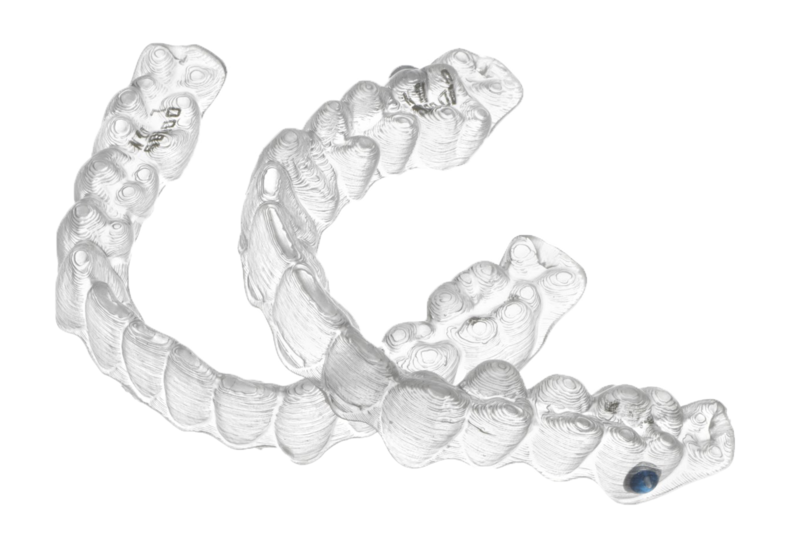 We use clear, removable aligners e.g. 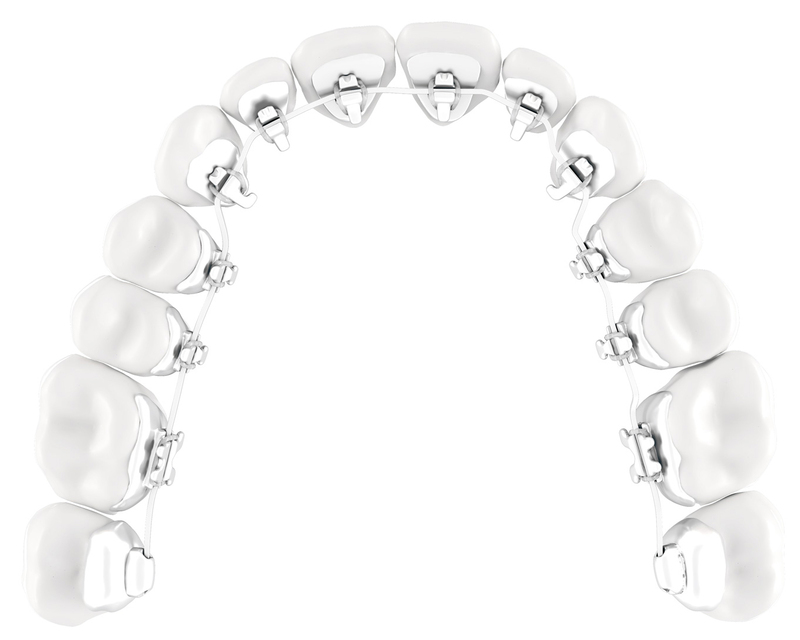 Invisalign® or novel fixed braces (placed in front or behind the teeth), whichever is most efficient and you prefer. To maintain the correct tooth position, we advise you to wear a fixed retainer. 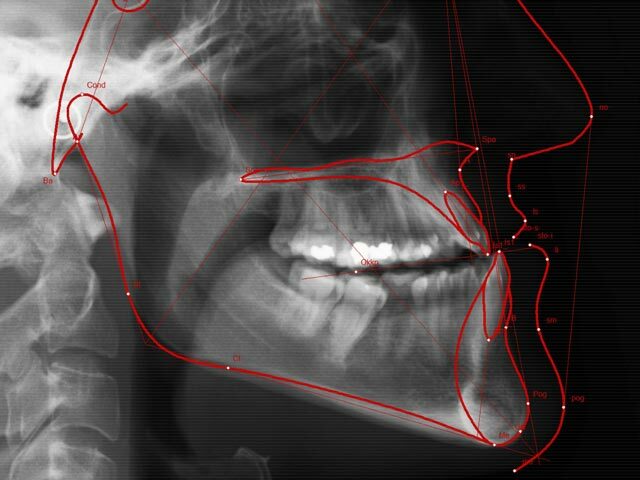 In more complex cases, patients may suffer from an incorrect bite secondary to an inadequate jaw position. A combination of surgery and orthodontics can then restore function, a beautiful profile and happy smile! The position and function of the temporomandibular jaw is influenced by the tooth position and occlusion. Headaches, neck pain and migraine can be caused by an unphysiologic position of the joint. Together with physiotherapists, radiologists and orthopedists, we asses joint function and morphology. In most cases, the symptoms can be drastically reduced or completely eliminated by using customized anti-grinding devices or by orthodontic treatment. In cooperation with your prothodontist or implantologist, we determine the best tooth position in order to accommodate bridges or implants. Modifying the position allows to simplify and significantly improve the prosthetic aftercare. 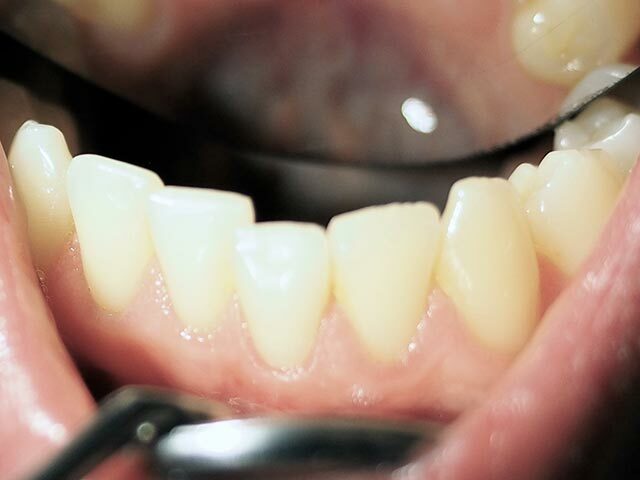 In many instances, gaps can even be closed solely by moving your own teeth. Crowded or rotated teeth can easily be aligned and corrected with the help of clear removable aligners, e.g. Invisalign™. A series of clear aligners are changed by the patient every 10 to 14 days in order to achieve the desired tooth position, step by step. The clear plastic aligners are thin, nearly invisible and can be removed during eating or for special occasions. For adults and teens who would feel uncomfortable showing braces, this appliance is an aesthetic and easy-to-handle alternative to conventional orthodontic systems. Dr. Nina Kemper-Broer is certified in the treatment with Invisalign™ by Align Technology already since 2005, making her a Platin provider. Show your teeth but not your braces! The lingual technique is based on the fixation of brackets to the lingual surface (inner side) of the teeth. Therefore the appliance will not be seen when you smile! We are experienced with most types of lingual braces, such as the Incognito™ system or the Win™ system, which are especially low in profile. The smooth bracket surface guarantees patient comfort, rapid speech adaptation, and minimizes tongue irritations. 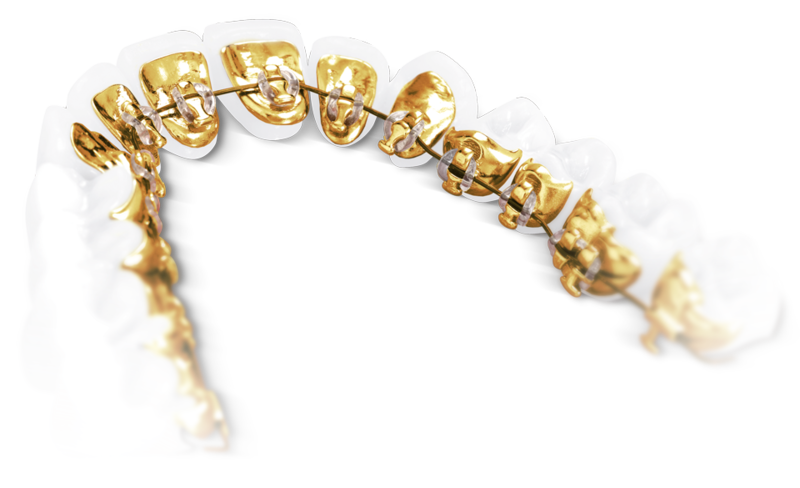 The brackets are made of gold and also allow for corrections of significant malalignments. 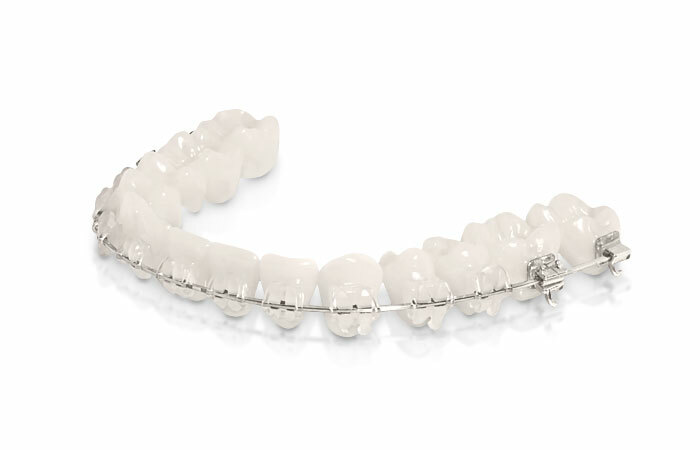 Incognito™ silver brackets show a laser-structured surface. Also positioned on the inner aspect of the teeths, the brackets are less susceptible to demineralisation. To apply lingual orthodontics is a very challenging technique, and only offered by well-trained, specialized orthodontists. Dr. Nina Kemper-Broer became a member of the American Lingual Association (ALOA) in 1999 and has since perfected the technique based on her experience. In 2006, she was certified active member by the German Society of Lingual Orthodontics (DGLO) as well as the European Society of Lingual Orthodontics (ESLO). Most certainly we can also treat adults with clear ceramic braces, which are fixed to the outside of the teeth. The single brackets are 3-dimensionally positioned on the tooth surface and fixed with a composite. Super-elastic archwires (metal or white) are then placed with the help of small ligature ties to move the teeth into the desired position. Fixed braces produce a 24-hour, continuous light force. Even severe malpositions of teeth can thus be corrected. Speech problems or tongue irritations will not occur when using buccal braces, since they are placed on the outer aspects of the teeth.